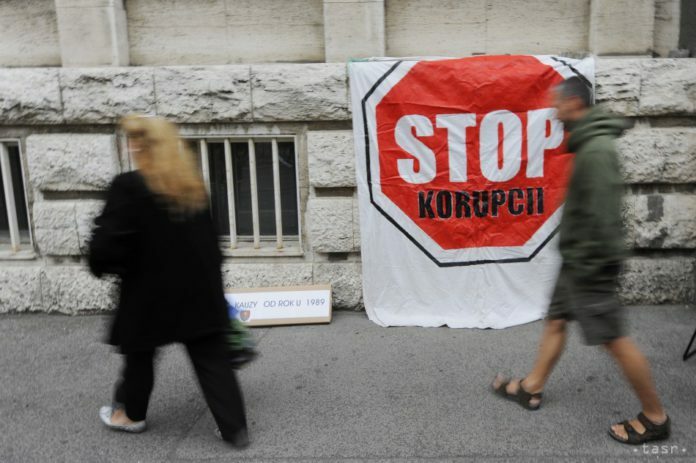 Bratislava, November 16 (TASR) – Small-scale corruption has been decreasing in Slovakia, but at the same time the number of people willing to report corruption has been going down as well, TASR has learnt from a survey conducted by Focus agency for Transparency International Slovakia (TIS). “Over the past three years only 12 percent of Slovaks have given bribes in public services, which is the lowest figure in the era of independence. 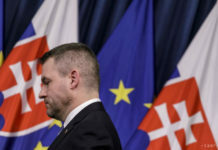 However, the bribery rate in Slovakia is still six times higher than in western Europe,” said TIS director Gabriel Sipos, adding that in Germany only 2 percent of people have experience with illegal payments. Sipos went on to say that the highest number of illegal payments or “small financial gifts” in Slovakia are recorded in health care, i.e. in a sector that is used by most people. The poll showed that people mainly give small rewards to GPs and surgeons. These are followed by dentists, gynaecologists, orthopaedic surgeons and paediatricians, said Sipos. The TIS head also said that the number of people willing to report corruption in Slovakia has fallen over the past two years. “While in May 2016 a total of 37 percent of the respondents would certainly or probably do so, in the autumn of 2018 not even one third would report it. A total of 58 percent of people said that they would certainly not or rather not report corruption to the police, even if they knew about it,” said Sipos, adding that this is due to the low level of trust in the police in general. According to Eurobarometer data published in the spring of 2018, the Slovak police are viewed as the least trustworthy within the EU, with only 38 percent of Slovaks having confidence in them. According to Transparency International Slovakia, addressing high-level corruption is the biggest challenge for Slovakia. “Despite plenty of suspicions, punishments for senior politicians and businessmen are still rather rare even 29 years after November 1989,” said Sipos, referring to the Velvet Revolution, which led to the fall of the communist regime and a non-violent transformation to a pluralist democracy.